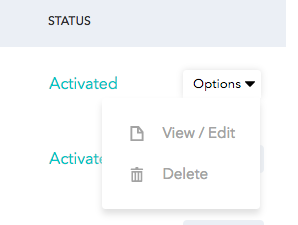 Any individual on your account with Admin privileges is able to manage and delete staff members on the website as well as the mobile brightwheel app. Click on the Staff tab at the top of the screen, then select the staff member you wish to delete. Next, you'll click on Options on the right hand side of the screen, then Delete. Once you click on the staff member you wish to delete, scroll down until you see the Delete button. It's important to note that when a staff member is removed from brightwheel, their check-in/out records will no longer be reportable in the Timecards and Payroll reports. Be sure to export these records PRIOR to removing these staff members to ensure you are able to access these historical records at a later date. We do not recommend having your staff members use shared login information. Room Device Mode is a feature we recently built to avoid having staff members share logins. If your staff members already share login information, please make sure that all passwords are changed when terminating a staff member. Please also write into our support team at support@mybrightwheel.com so we can do a forced logout on all devices.